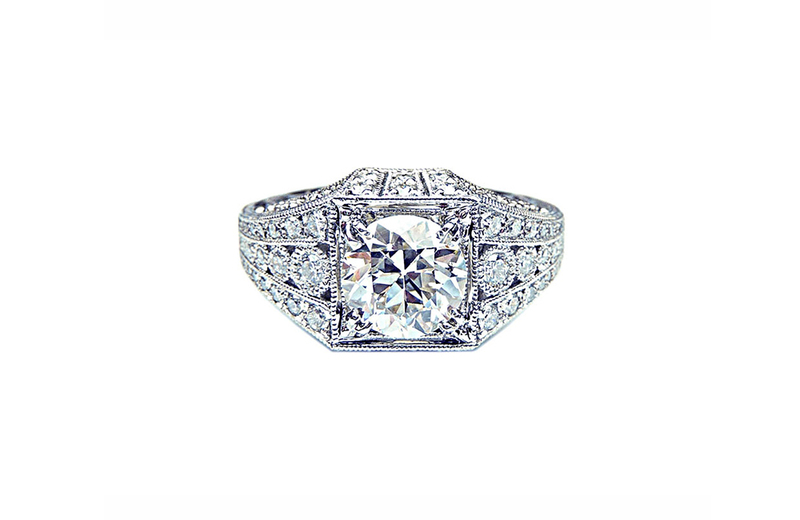 An old European cut center diamond set in a platinum setting inspired by an Edwardian era style. 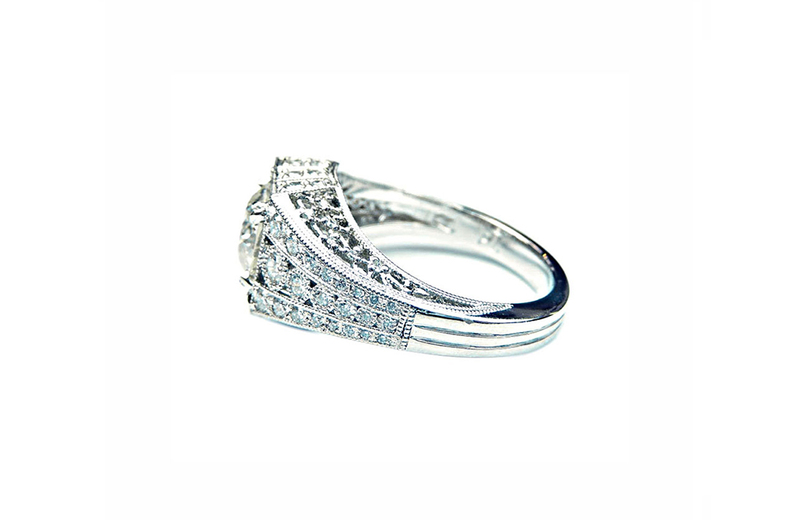 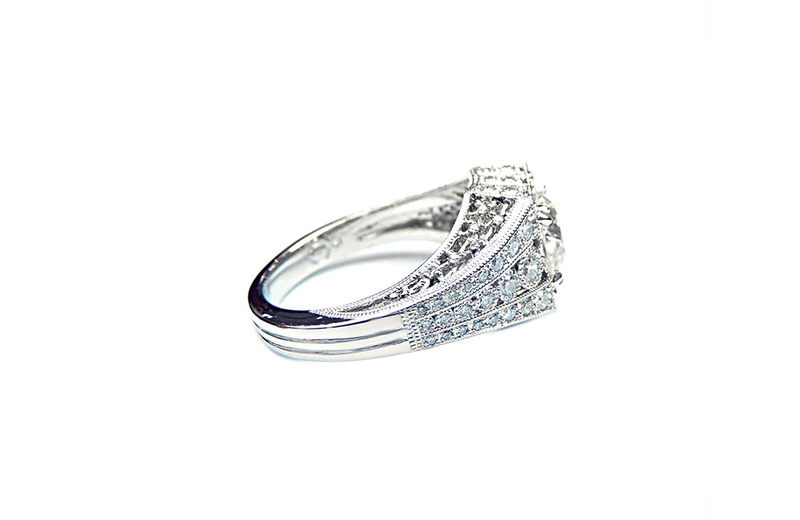 This elegant design has a cascade of accent diamonds intricately set and hand fabricated milgrain. 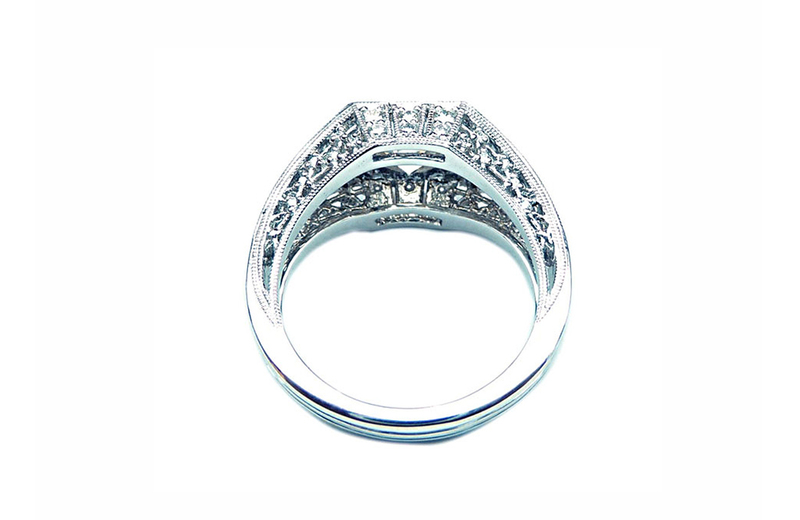 The gallery of the ring custom designed for the special bride to be, neurons with tiny diamonds as the nucleus.